The quality and safety of any cosmetic treatment depends largely on the knowledge and skill of the person performing the procedure. Undergoing a cosmetic procedure is not only about your appearance and convenience. At Rockwall Dermatology, your health and safety come first. 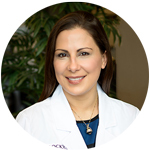 Dr. Saucier, a board-certified dermatologist, is the physician specialist of choice for providing expert skin care advice and performing skin related cosmetic medical procedures. The 12 years of post-secondary education that it takes to become a board-certified dermatologist in addition to required ongoing professional training in the latest advances in cosmetic dermatology are important parts of what distinguishes a cosmetic skin care expert like Dr. Saucier from others. Her artist's eye and a perfectionist's attitude help a great deal too. Read more about Dr. Saucier here. With experience and expertise in aesthetics and laser devices, Gina helps patients with all sorts of cosmetic concerns. 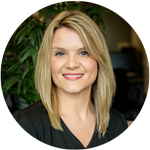 Whether revitalizing skin with a relaxing and personalized facial experience or addressing the many signs of aging with the latest devices and technique, Gina's primary interest is achieving results for her patients that help them look and feel amazing. Read more about Gina here. What questions do I ask before a cosmetic procedure? Every cosmetic treatment has certain associated risks. Reduce your risks by asking a few important questions as you choose the right provider to perform your cosmetic medical procedure. Will the Doctor see me before the procedure appointment? What are the provider's credentials? Is he/she appropriately trained for the procedure? Where is the procedure being performed? What cosmetic procedures may be right for you? Relax wrinkles and fine lines around the mouth, eyes, forehead, chin, neck and other areas. Improve facial symmetry and correct volume loss as well as deep creases in the face and hands. Non-surgical procedure to reduce the appearance of submental fullness or "double chin". Lift skin on the eyebrow, under the chin and neck, and smooth fine lines and wrinkles on the chest. Improve aging skin, acne-prone skin, hyperpigmented skin, and intermittent or permanent redness. Treat wrinkles, veins, vessels, and erase sun spots toward a more radiant and glowing skin tone. A gentle non-invasive resurfacing facial to enhance the health and the appearance of your skin. Protect from sun damage, prevent environmental damage, and repair skin damage already done. "Dr. Saucier and her staff are always pleasant and efficient. I would recommend them to anyone in need of a dermatologist and/or anti-aging procedures."